WelCom July 2017: Parishioner, Merrilyn George of St Joseph’s Church, Ohukune, and teacher at Ruapehu College, has been recognised in this year’s Queen’s Birthday Honours with a Queens Service medal for services to education and the community. 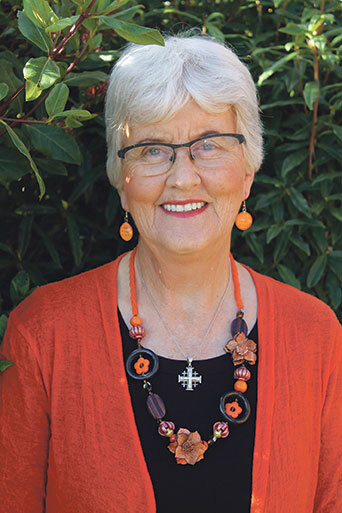 Merrilyn has taught at Ruapehu College since 1966 including in areas of technology, art, mathematics, science and Te Reo Māori and has made numerous contributions to the Ohakune community. She learned to speak te reo in the late 1950s, has worked closely with local marae and helped to set up an inter-whānau kapahaka competition at Ruapehu College. She has coached sports teams at the college and in 1979 established a netball competition to promote and encourage fitness and wellbeing. Merrilyn is a recognised local historian in both parish interests and with the wider community. She wrote and published Ohakune, Opening to a New World, about the area’s local history in 1990 and has published several other historical resource works. Merrilyn is also a talented craftswoman with textiles, weaving and quilting. In 2002 she was awarded a Royal New Zealand Society fellowship for Traditional Māori Textiles Technology. Her quilt work, featuring Suzanne Aubert, has been toured widely. As committee chairperson, Merrilyn was instrumental in the success of for Ruapehu College’s 50th Jubilee. She continues to teach, research and write as well as working with Aotearoa Quilters and the National Association of New Zealand Quilters and Textile Artists.